European hornbeam. 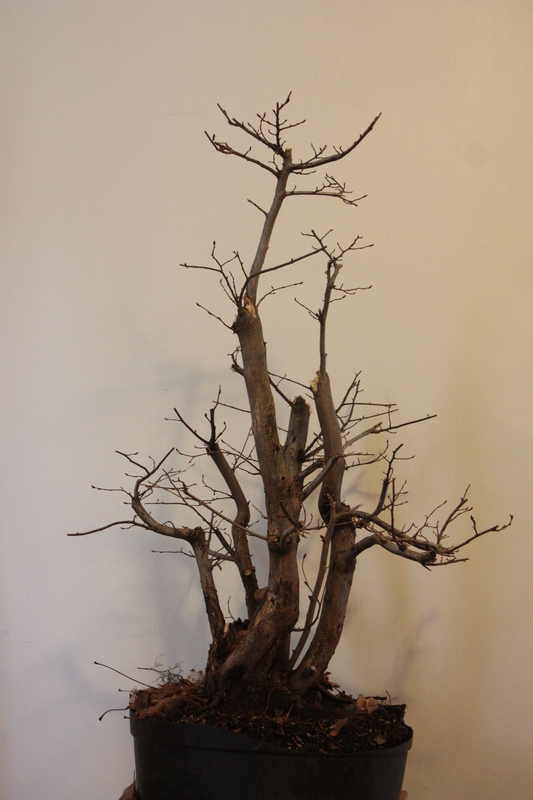 I purchased this tree from Nature’s Way Nursery and worked on it during Walter Pall’s winter study. It looks quite nice to me already, the trunks have a pleasant movement to them. Much of the branch structure needs to be ramified and developed still. This year I will repot it into a mica pot, in two more I will try to get it into a bonsai pot of some sort. This is a smaller Chinese quince, styled by my lovely and talented girlfriend two years ago. She had never been exposed to bonsai training before and she zealously went after the tree and developed those hollows with a makita die grinder while I bit my nails to the quick. 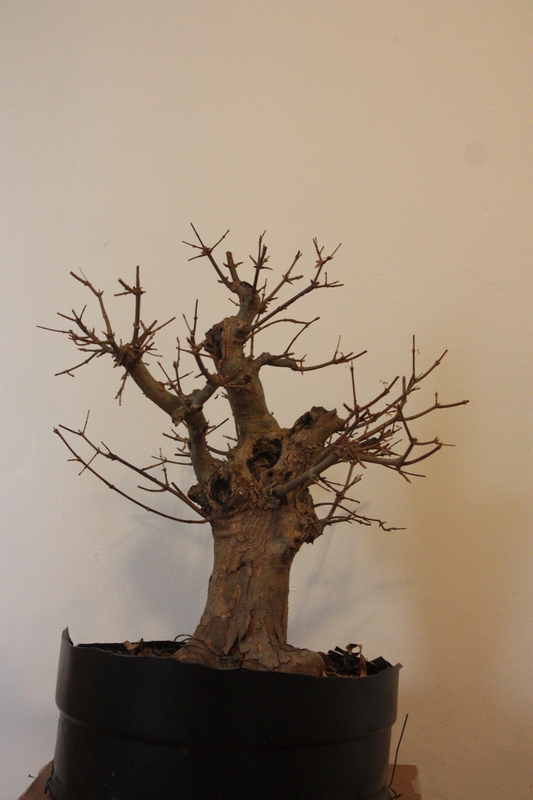 Finally, here is a trident maple that was a gift from Marc Torpa at the Growing Grounds. I was traveling through North Carolina and he asked how another tree he had sold me was doing. Sheepishly, I told him I killed it and Marc insisted upon replacing it. I tried to argue with him, but my efforts were half-hearted to say the least. I took the tree to a Walter Pall workshop two years ago and learned how to carve a bit on it. Since then I’ve just sort of hedge trimmed the thing and cut down its root mass. 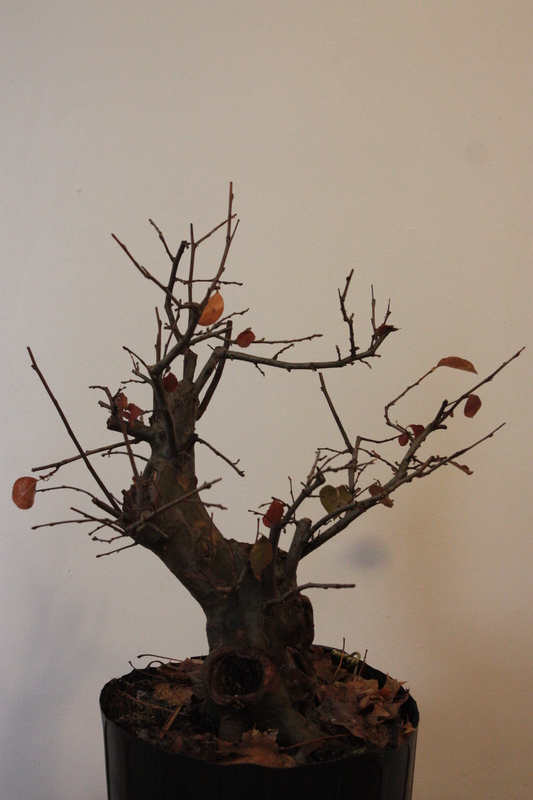 Next will be some wiring and in another year perhaps a bonsai pot. It’s certainly an ugly little tree, and will never win a bonsai contest, but I find the little goblin tree has earned a special place in my heart.